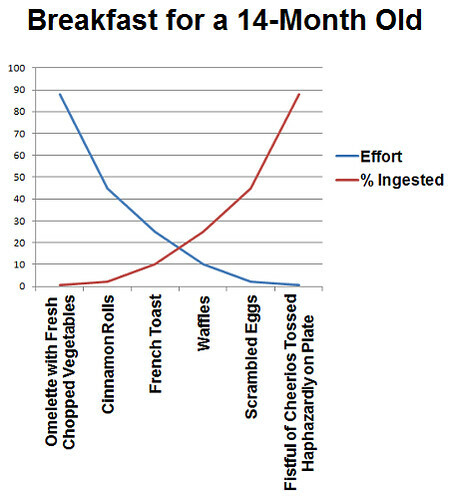 Last week, as Ryan and I were feeding 14-month old Sagan breakfast, I noted an inverse relationship between our effort and how much of the resulting handiwork was actually ingested. I thought it warranted a graph. Enjoy! Thanks for the help, Nature! 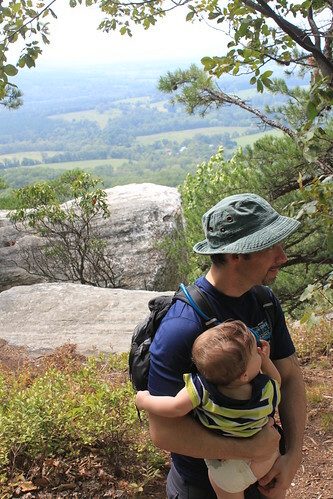 This past weekend, our little family went out to Broad Run, Virginia for a day of hiking at Bull Run Mountain. 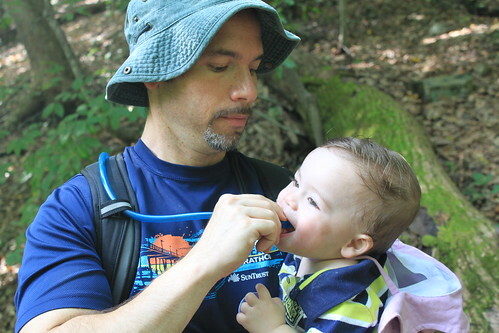 This wasn’t 13-month-old Sagan’s first hike. It also wasn’t his longest hike. 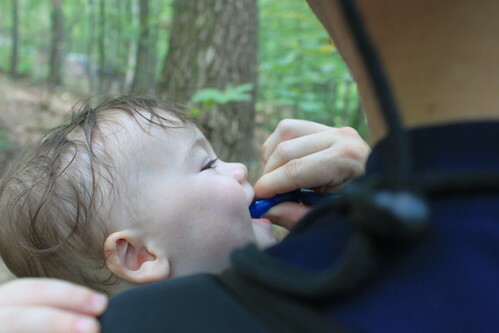 But it will go down as the hike where he fell in love with the CamelBak. It started on the Quarry Trail. I stopped my husband, Ryan, for some water. Once I finished up, Ryan decided to give little Sagan a try. 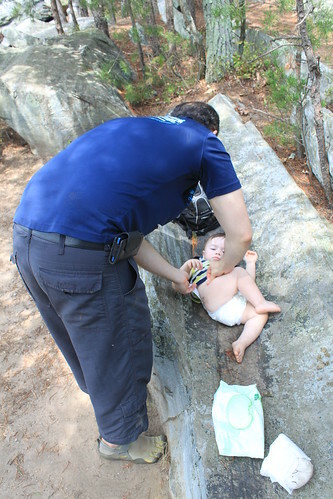 Sagan was smitten almost instantly, though admittedly he needed help getting water out. 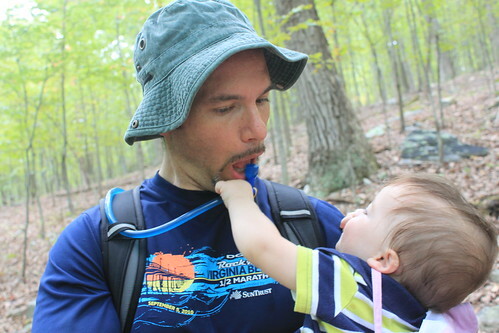 As we climbed up the hill on Ridge Loop Trail, Sagan took another sip. He also learned to share with his Daddy. 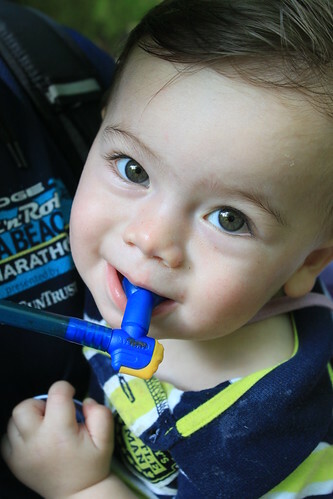 By the time we reached the views at the top of the mountain, Sagan could manage the CamelBak tubing on his own.